I had the opportunity to attend a masterclass by Dina Yoffe last week. 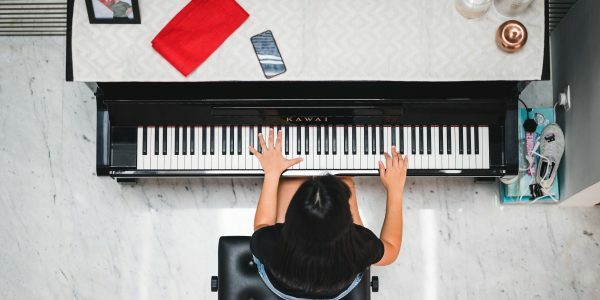 A masterclass is like a special piano lesson with a well-known performer, in front of an audience. The students who were chosen for the masterclass had to undergo an audition, so the teacher mainly works to polish and refine their playing. Dina has been touring the world and performed with the VSO on March 2 and 4. She played Chopin’s Piano Concerto No. 2 in F minor. Dina is an amazing Frederic Chopin performer. Which means she is passionate about playing music by the composer, Chopin. She often plays in recitals around the world celebrating the music of Chopin and has recorded many discs with her playing his music, among many other composers. Click here for more info. -See how you walk so relaxed and free. Now why do you suddenly hunch up when you play the piano? You must also play relaxed and free, not scared. -try singing the melody. Now play that way. -how much time do you spend practising every day? Why don’t you practice a little more? What do you want to be when you grow up? Why not a concert pianist? You can! 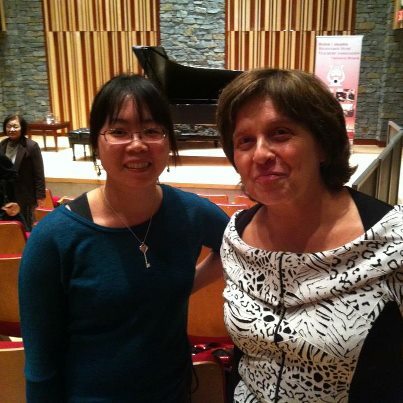 Dina was a wonderful mentor to the young pianists. She was not too “scary” in her approach to the pianists, yet she offered comments that helped improve their played almost immediately. I hope Dina comes back to Vancouver soon!